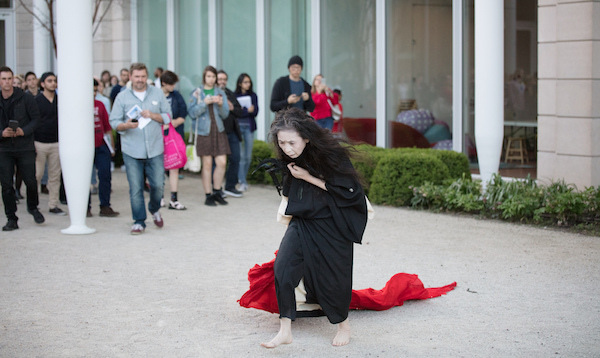 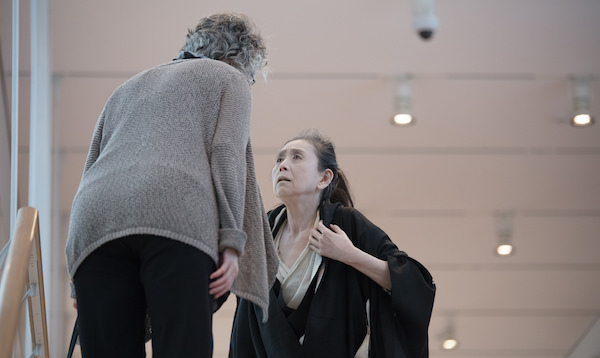 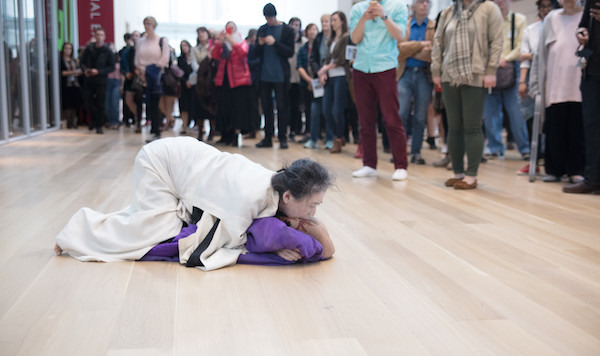 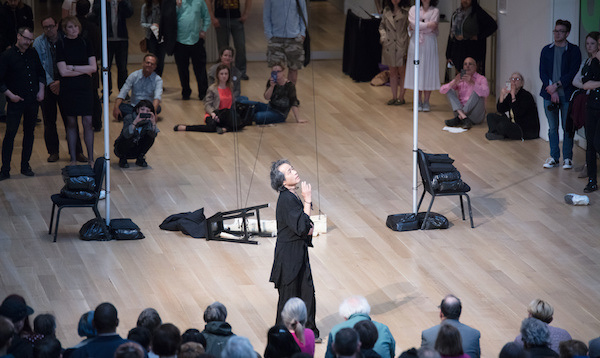 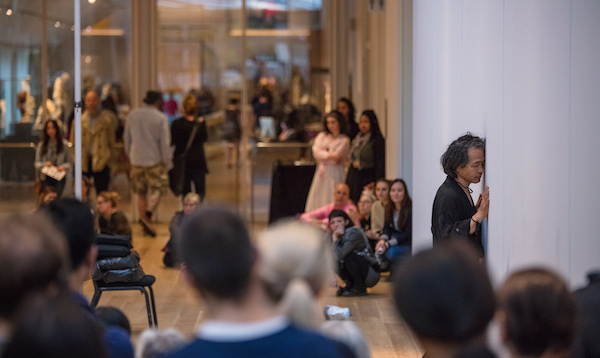 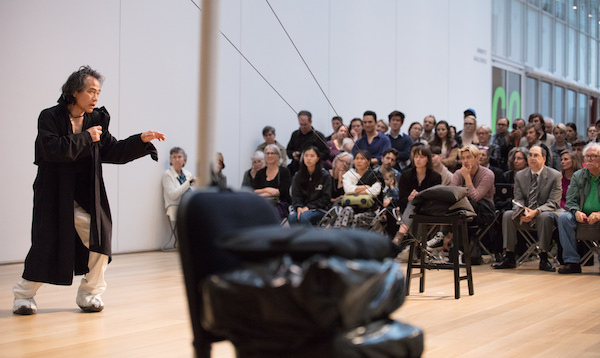 Eiko and Koma performed their solos back to back on April 20, 2017 in the entrance lobby of the Modern wing of Art Institute Chicago. 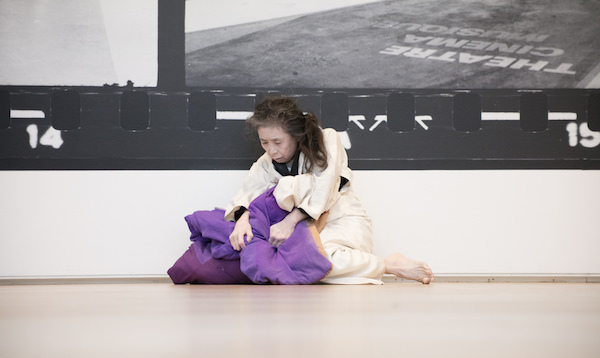 Their performance was presented as a response to the photo exhibition, PROVOKE: Photography in Japan between Protest and Performance, 1960-1975. 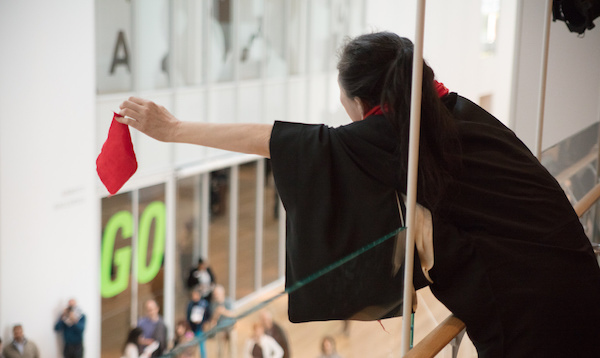 The exhibition presents the works not only of the photographers who created the short-lived widely influential photo magazine Provoke, but also of the preceding and younger generations of the radical photographers.